Tree is our commissioned public artwork for Brisbane City Council's Cannon Hill Suburban Centre Improvement Project in Brisbane, Australia. Tree is sited at the corner of Barrack Road and Wynnum Road, Cannon Hill. 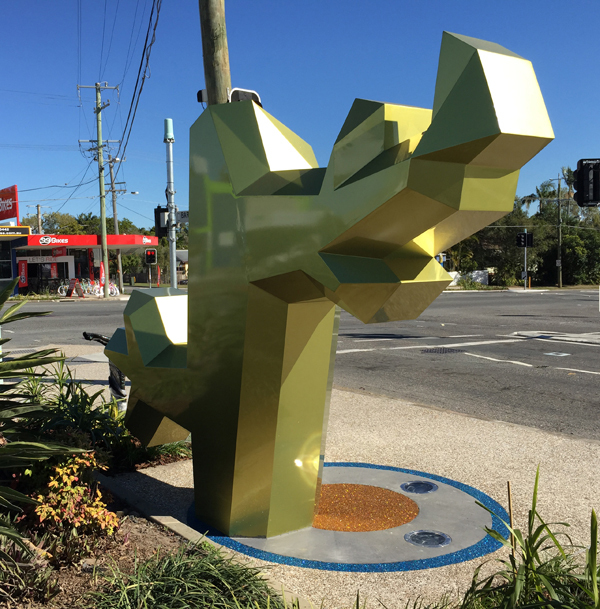 It celebrates the natural and cultural history of Cannon Hill, referencing an account of how the suburb was named. The story in question suggests that early surveyors of the area saw fallen trees and thought they looked like cannons. Tree is fabricated from sheet aluminium with a painted finish. Its facetted surface creates a changing interplay of light and shade across different light conditions throughout the day. Concentric pavement inlays at the sculpture's base provide a historical reference to a garden maze which previously existed along Wynnum Road at an early rural estate named Cannon Hill House, formerly occupied by the Weedon family. 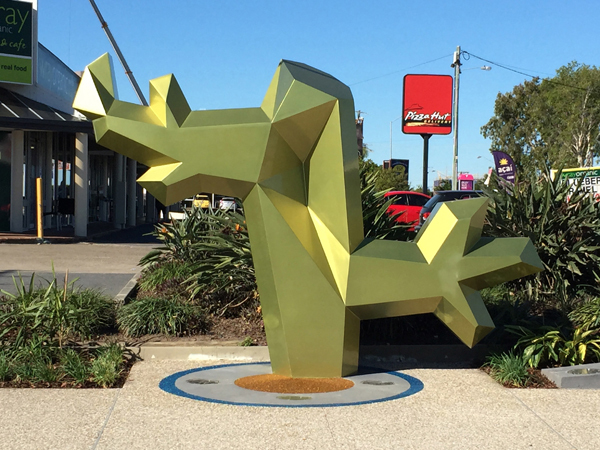 Across the road on the southern side of Wynnum Road sits a second artwork which includes a seating element. It is also sited on a concentric pavement design and complements 'Tree' with its painted facetted surfaces and paving elements. 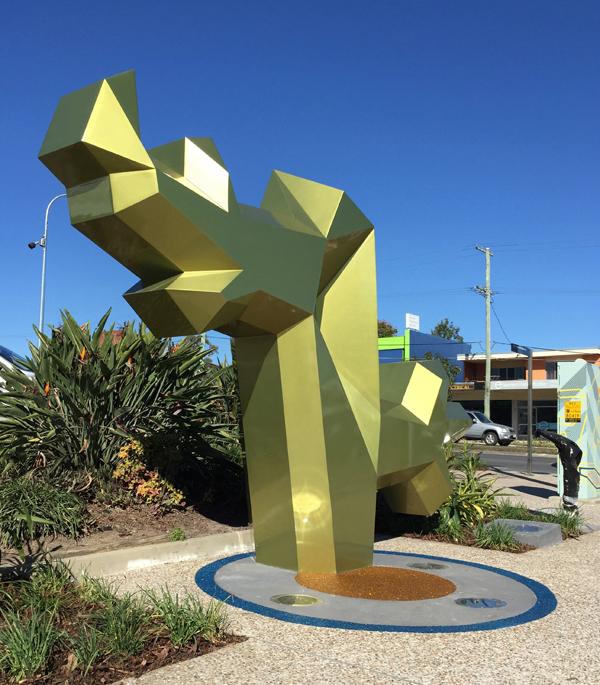 Both artworks offer a renewed visual energy and vibrancy to the prominent intersection of Barrack Road and Wynnum Road, bringing a dynamic and playful quality to the centre.